NEW! Vocab Focus Series_01 Colours. This new series will deal with vocabulary and different thematics. Six mini-tasks--Find, match, colour, read, questions. Guide included. FULLY EDITABLE + KEY Enjoy! Vocab Focus Series_03 Numbers 11-20 Six mini-tasks--write, match, check, colour, count, add. FULLY EDITABLE + KEY Enjoy! MADNESS SERIES 7th Printable: Numbers 11-20. Label, match, connect, colour, wordsearch, crossword, hidden message. 8 in 1 ! Enjoy ! NEW! Holidays Series_01 Saint-Patrick�s Day This new series will deal with holidays. 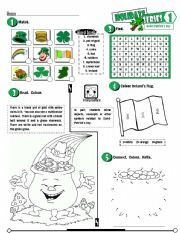 Saint-Patrick�s Day Five tasks--match, wordsearch, follow the instructions, colour, connect. Bonus oral activity. FULLY EDITABLE + KEY Enjoy! MADNESS SERIES 8th printable: Numbers 10-100. 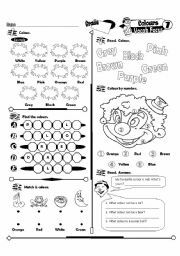 Label, match, connect, maze, colour, wordsearch, crossword, hidden message. 8 in 1 ! Enjoy ! Vocab Focus Serie_06 family Printable on the family. 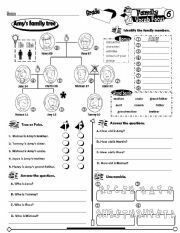 Using a girl�s family tree students have to complete various tasks. 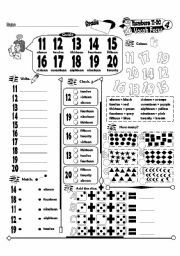 Five tasks total--identify, true or false, comprehension questions, unscramble. Grammar focus on HE/She & age. Fully Editable + Key Enjoy! Grammar Focus Series 07 HE SHE IT Three tasks--Fill out, write, categorise, match. Bonus + Grammar-Guide included. FULLY EDITABLE + KEY. Enjoy! NEW ! Grammar Focus Series_01 Plurals This series deals with the grammatical aspect of the English language. 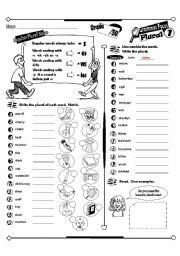 Worksheet on regular plural nouns. Grammar-guide included. 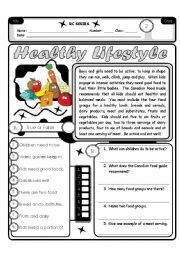 FULLY EDITABLE + ANSWER KEY. If you have any grammar points you�d like me to cover PM me. Enjoy! RC Series_Level 01_Country Edition 06 England Reading on England. Four tasks--opinion, yes/no questions, true or false, comprehension questions. FULLY EDITABLE + KEY Enjoy!